In the video tutorial Mastering Long-Exposure Photography, I teach you how I capture award-winning long-exposure images. And also why they appeal to the viewer. This easy to understand tutorial condenses my many years of experience. I walk you through long-exposure photography step-by-step and also show you the gear I use, as well as lower-priced alternatives. Everything you need to know is explained in language you can understand so you will feel confident to begin capturing your own great images. Beyond the basics of long-exposure photography, you’ll also learn my thought process behind capturing my own fine art photographs and how and why long exposure photography and other characteristics of my photography, contribute to its aesthetic appeal. This comprehensive tutorial on long-exposure photography, produced by filmmaker Armand Dijcks, will help you discover your own talent as a photographer. Whether you’re a beginner or an advanced photographer, you will learn how to get the most out of your shots while also avoiding many of the pitfalls. Included with the tutorial is a beautiful 80 pages eBook that summarises and expands upon the concepts explained in the video. Long exposure photography expert Joel Tjintjelaar developed a method for effective long exposure photography called 5MF8 that has as objective to shoot long exposures with times of around 5 minutes and at around f/8 with just two filters in any given situation under any type of weather. Joel will explain the various effects of specific long exposure times on objects and on water and clouds, and how specific looks can be achieved with many examples. 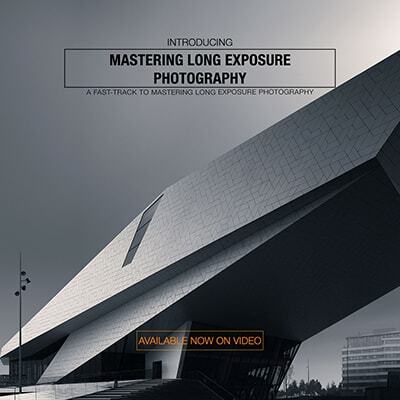 The “Mastering Long Exposure Photography” video. 80 page ebook that summarises the video with many additional charts, example images and other beautiful illustrations to clearly describe the effects at specific settings. Luminosity Mask Action Set for Photoshop.